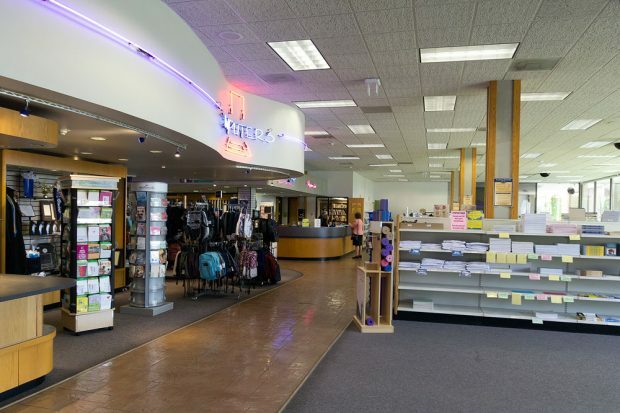 Salt Lake Community College’s campus bookstores are changing. 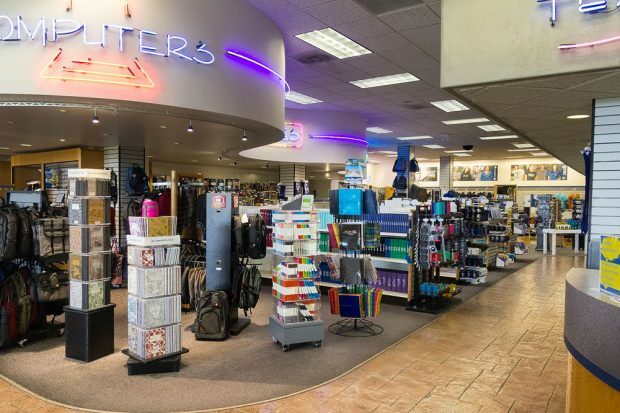 The previously school-managed stores are now under management of Follett, a national corporation which claims on its website to be the largest campus retailer in the country. The change comes after an analysis of the campus stores’ operations that yielded unsatisfactory results. Follett’s bid to manage SLCC’s campus bookstores came with a few perks. Among them, a $15,000 annual donation for student scholarships, $480,000 for renovating and remodeling the campus stores and an annual commission from store profits that exceed what the store had been previously earning for the school. In addition to the financial perks for the school, there are changes in campus store services that will benefit students. “At the end of the year, we had maybe 150,000 used book inventory and they were able to, within a week, get us 250,000 in used book inventory. And then, we were only able to provide a very limited selection of rentals. They’re able to provide a wider range of rentals which is huge for our students,” says Controller/Assistant Vice President, Debra Glenn. Another update of services pertains to the online book buying process. Using Follett’s own software, they provide a list of the available texts for your classes, options to buy new or used, options to rent new or used and digital options if available. You’ll then have the option to have your books shipped or available for in-store pick up. Also new is the policy of book return. “It’s my understanding that buyback happens every day, so you don’t have to wait until a certain period of time to sell you book back,” says Glenn. Despite changes in appearance and services, SLCC business leaders want to reaffirm the stores locally based operations. “Follett is managing our bookstore, but it’s not a Follett bookstore, it’s an SLCC bookstore,” says Klaus. “It’s still our bookstore. It’s a partnership so that we can provide what’s best for our students,” says Glenn. Students are encouraged to share any thoughts on the change in management with school leadership. “If [students] have issues, we want to be aware of them [. . .] so that we can help them and work through this because this is still a transition and we’ve got our ear to the ground and we want to listen. We want to know what the students think and what they need,” says Glenn. I am an adult student with a real job, with kids in college and high school and jr high. I would love to support my school buying SLCC apparel, but I found no larger sizes in anything, and the cute baseball shirts didn’t even go up to large. I would like larger sizes available even up to 4x and 5x in the cute styles.